By default, Outlook displays temperatures using the Fahrenheit scale. To display temperatures using the Celsius scale, follow these steps. 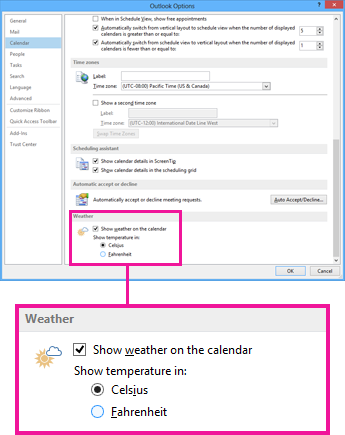 Click OK. Now Outlook displays temperatures in Celsius.